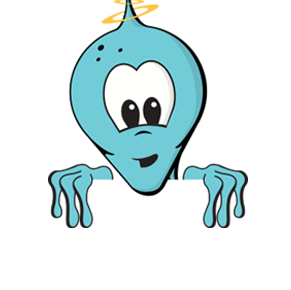 Astronomy enthusiasts seeking an affordable astronomical adventure will get it in spades with the SpaceProbe 3 Altazimuth Reflector Telescope. Great for UFO hunting and all-around astronomical observing, this highly portable, uncomplicated telescope is just the right size and weight for all family members, and just the right price. Built around a 3" (76mm) diameter primary mirror, the Orion SpaceProbe 3 Altazimuth Reflector Telescope also gathers enough light to snare the faint glows of some very exotic star clusters and distant nebulas! The SpaceProbe 3’s focal length of 700mm (f/9.2) provides sharp views of cosmic curiosities. The aluminum Newtonian reflector optical tube features a 1.25" rack-and-pinion focuser to ensure sharp images in the telescope eyepiece. 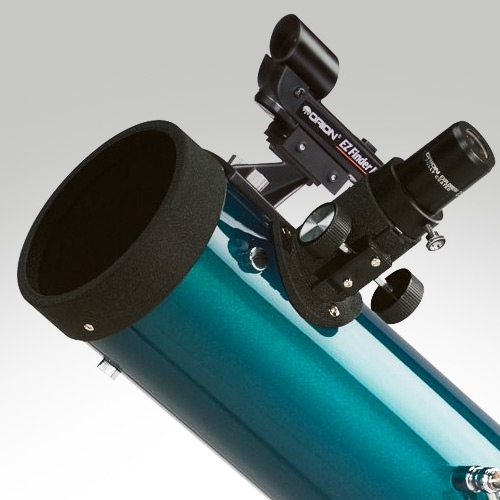 It includes two interchangeable 1.25” Explorer II telescope eyepieces, a 25mm and a 10mm. The 25mm eyepiece will yield 28x power magnification in the SpaceProbe 3 while the 10mm eyepiece boosts the magnification up to 70x power. A wide-field EZ Finder II reflex sight is also included to aid in locating objects and aiming the telescope. An adjustable-height tripod with accessory tray and aluminum legs is also included. 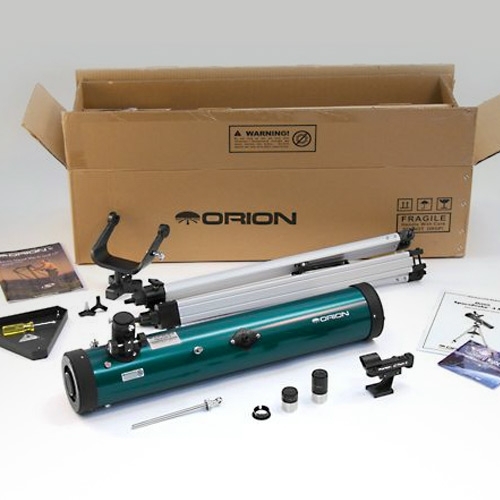 The Orion SpaceProbe 3 Altazimuth Reflector Telescope comes with an altazimuth mount which allows simple up/down and left/right motion. Weight, optical tube - 4.0 lbs. Weight, mount/tripod - 4.4 lbs. Weight, fully assembled - 8.4 lbs. 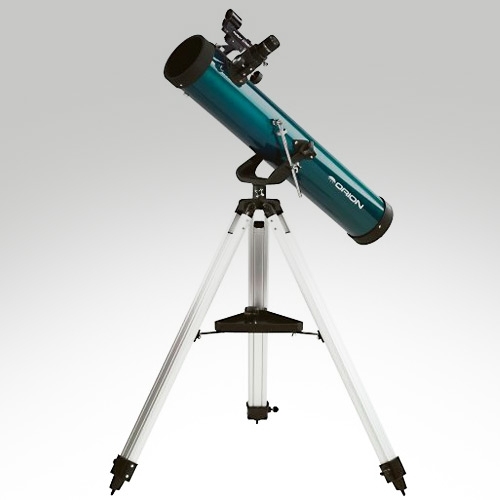 A fantastic telescope that's lightweight, easy to set up, and has a very affordable price tag!